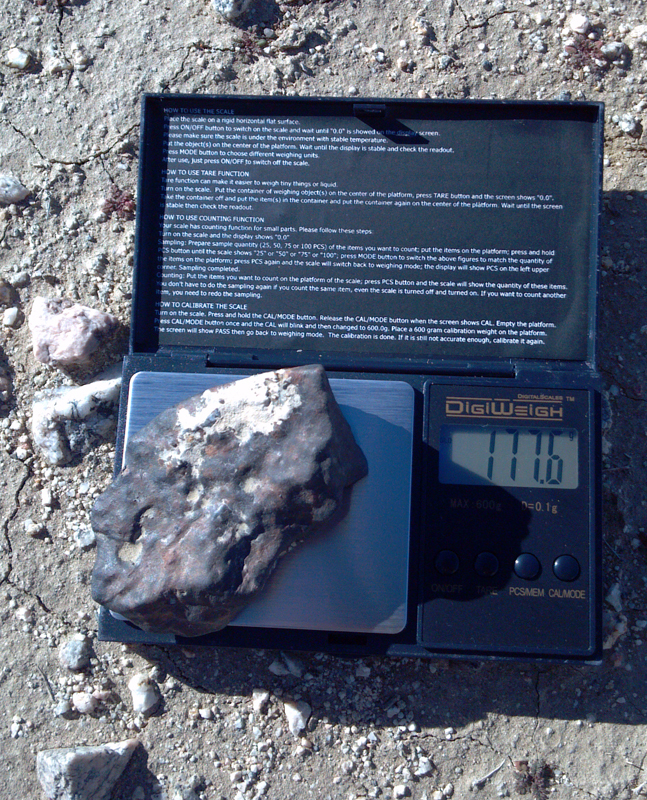 I met Steve recently on a meteorite discussion forum where he had reported finding a 440g meteorite. He offered to take me out to his hunting spot and help look for more meteorites. I met him early one morning and followed him out the the location of his first find. 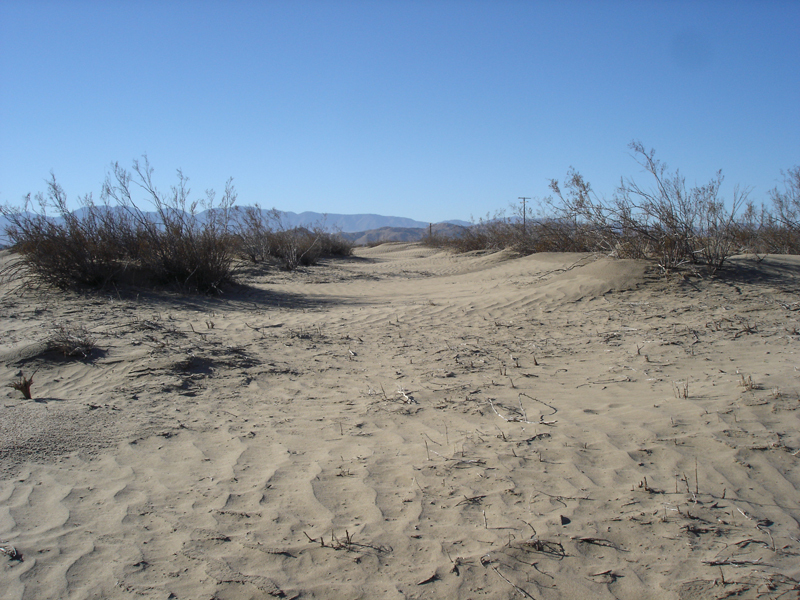 The terrain consisted of sandy dunes and creosote brush. 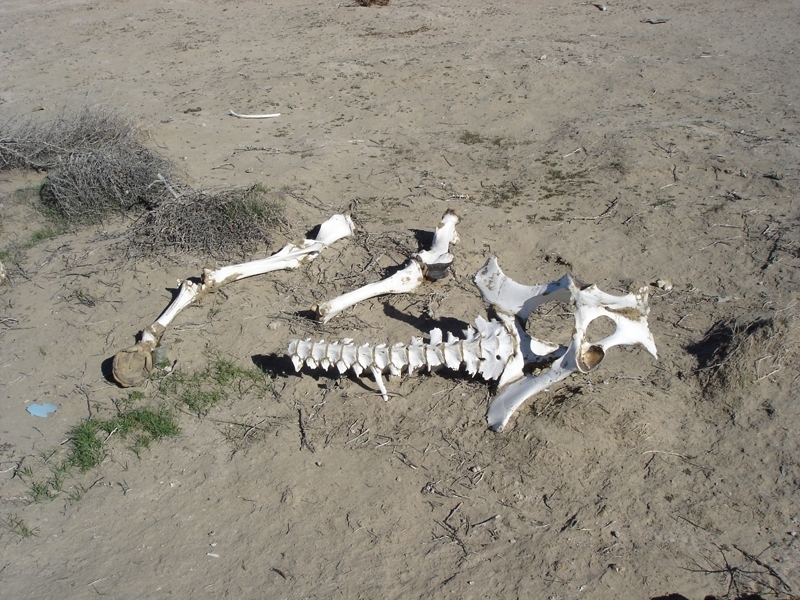 There were old, weathered bones scattered all about. I nick-named it "the bone yard". 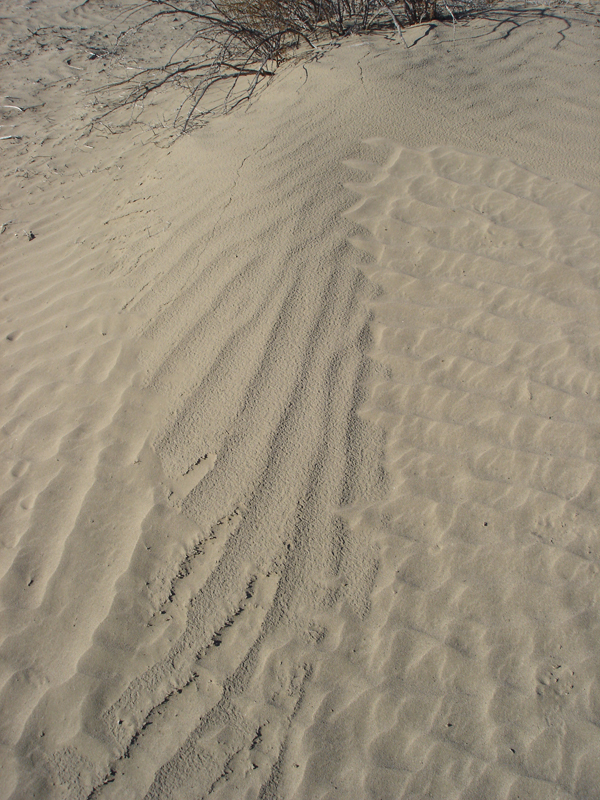 The dunes showed the imprints of past storms. Below a dune has captured 3 distinct wind events, each from a different direction. As I was heading back to the vehicles for lunch I got a call from Steve. He found one! He gave me the gps coordinates and I hiked about 1/8th of a mile over to him. 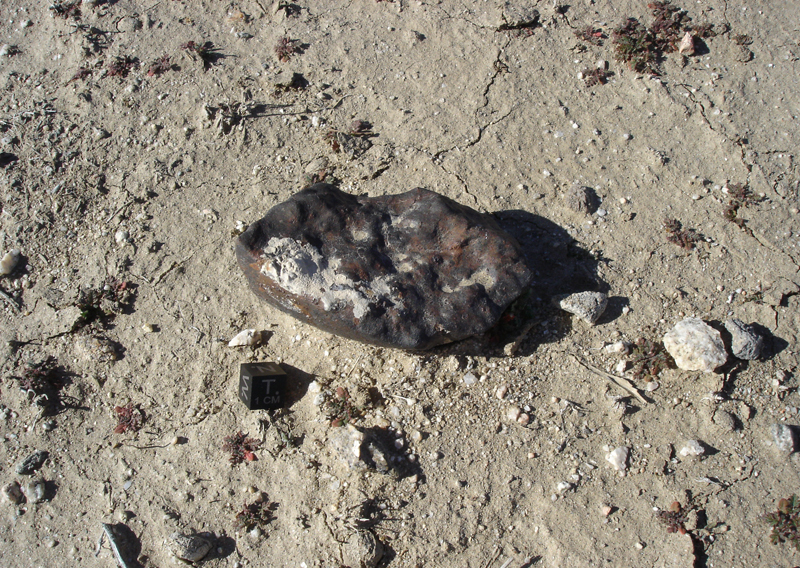 I walked up on the meteorite and could not believe my eyes. 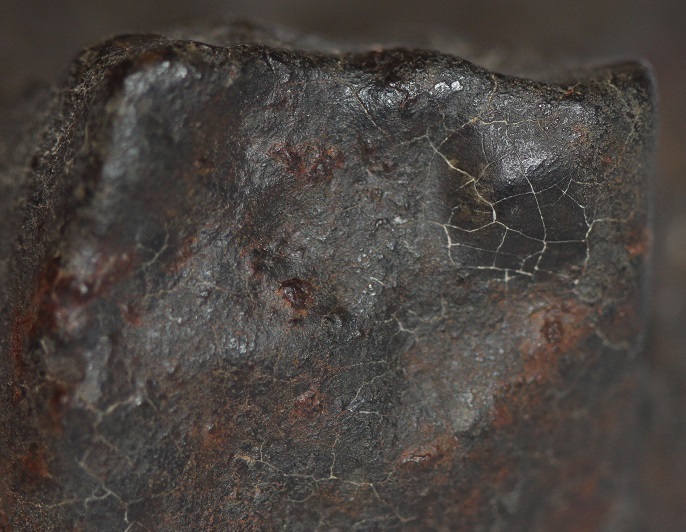 This was a very fresh looking meteorite, it had not been on the Earth for very long (I estimated 150 years at the earliest based on exterior weathering), plus it was pretty darn big! 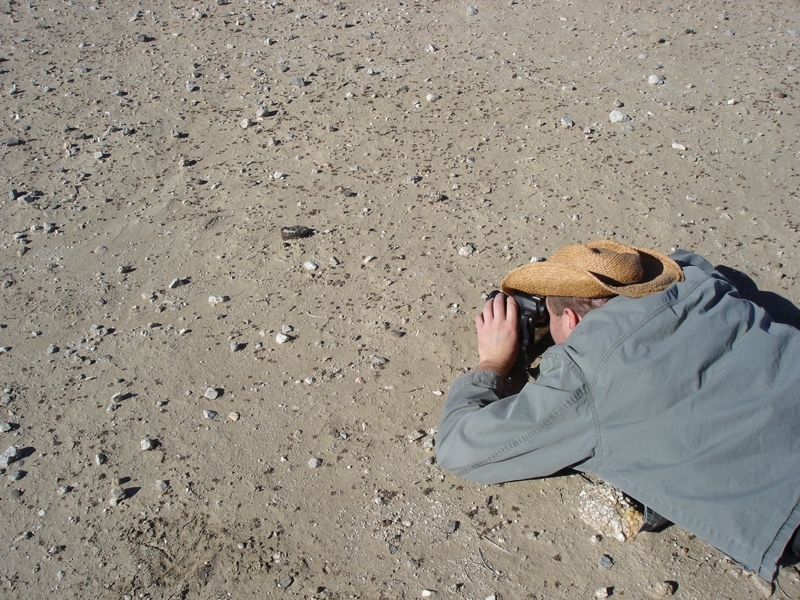 Photo below shows Steve photographing his find in-situ. 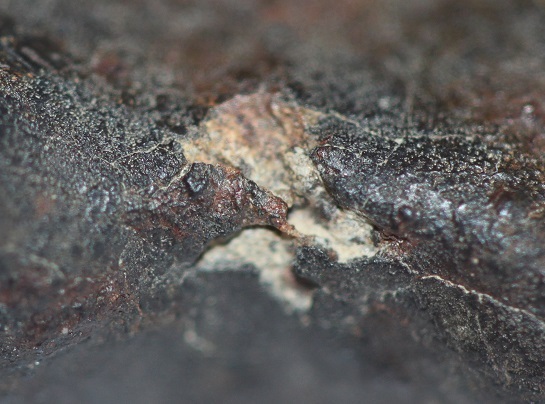 Close-up photos of the fusion crust (photos by Steve Poterala). We hunted for the rest of the day without finding anything else, but there is still a lot of promising terrain and we will return to this location in hopes of location more space rocks. 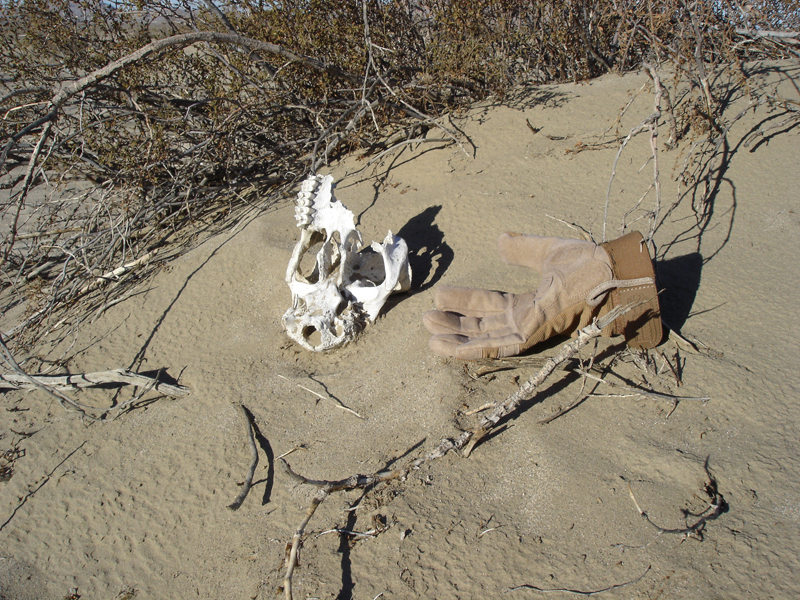 Although I didn't find any meteorites, I did find some very cool relics left over from previous settlers of the area. 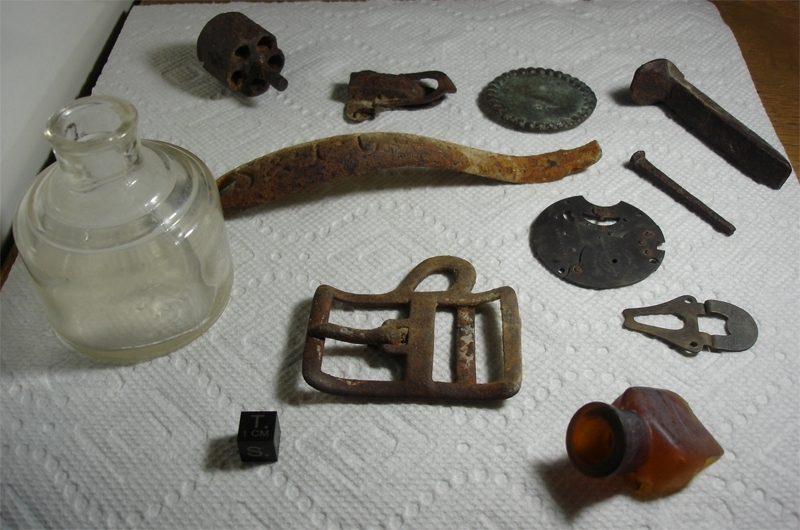 These meteorwrongs were from a very old failed farmstead. The small metal clasp at 12 o'clock has a sun or star engraved on it and the latch down at 4 o'clock is engraved with "HIGH ART" and some initials in fancy script. The brass piece that looks like a watch face at 3 o'clock was some sort of gauge or dial, and the brass circle at 1 o'clock appears to be an old broach or decor from a saddle. My favorite piece is the cylinder from an old single action revolver, I dug a huge hole hoping the rest of the gun was nearby. These artifacts were not recovered from public land.